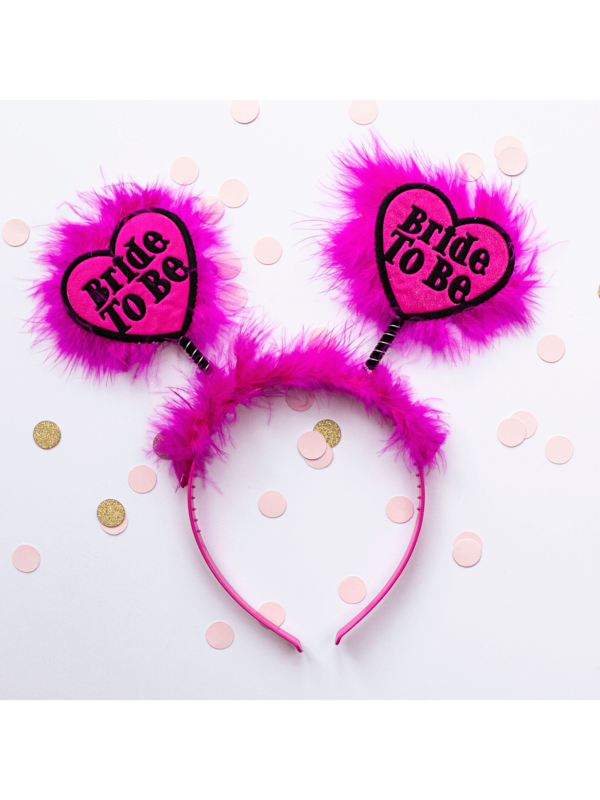 This vibrant pink head bopper will get the bride noticed on her hen day, whether she's at the bar or in the spa. With pink fluffy trim, this stand-out bridal bopper screams fun and will instantly get the party atmosphere going. The flexible headband is ideal for comfort and all-day wear, no matter what activities you have the bride doing. Pair with 'Hen Party' head boppers for the other hens as the group gets together for a special day.